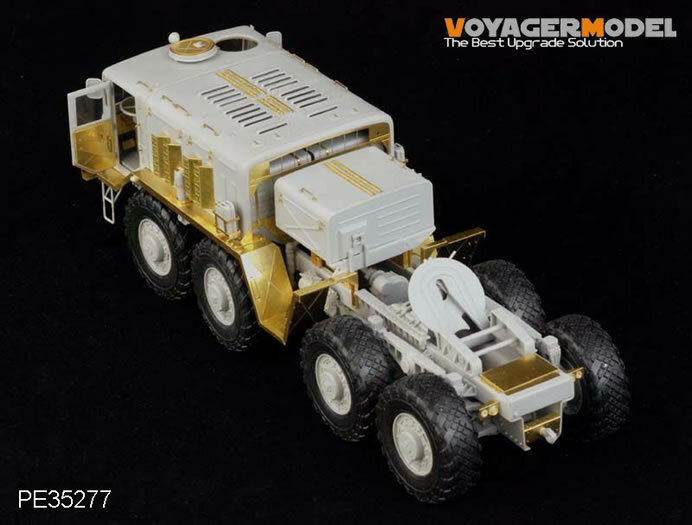 I have grouped three of Voyager’s recent offerings in this review. 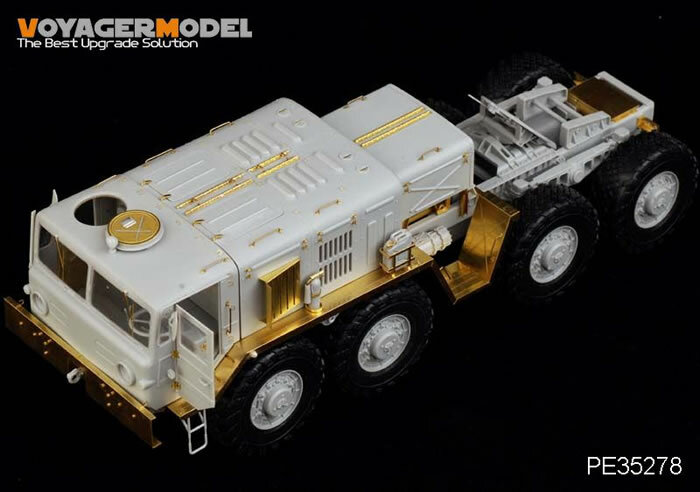 They all update the recent MAZ Tank Transporter from Trumpeter. 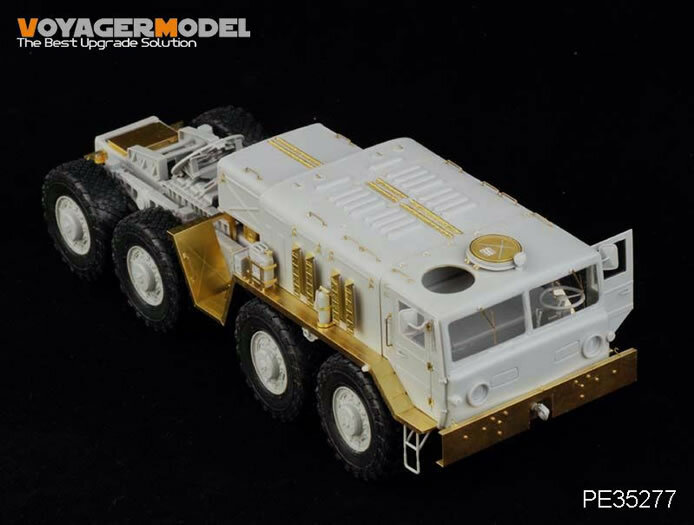 Hot on the heels of Trumpeter’s recent release of the MAZ Tank Transporter on 35th scale comes a very welcome update set for this important Russian vehicle. These updates cover 6 photo etch frets together with 12 turned brass pieces, 2 lengths of plastic rod, 12 lengths of wire and one photo negative film for the instrument faces. 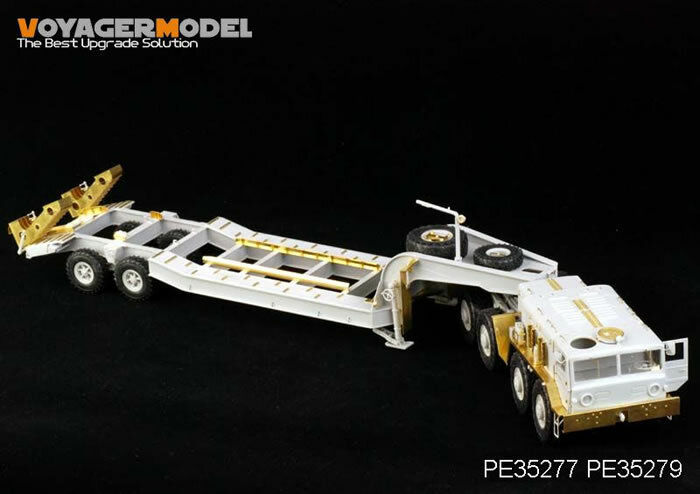 Six well laid out pages of instructions cover most of the finer external fittings on the vehicle and many for inside of the cab itself. 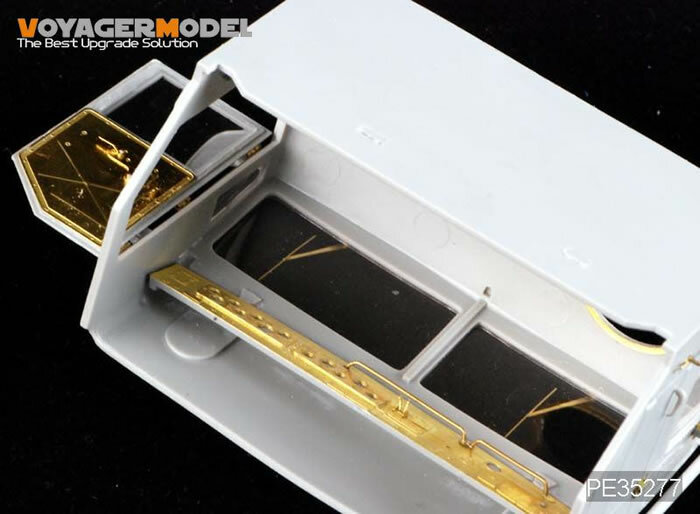 There are 100 construction sequences that cover the tools clasps (each with three photo etch pieces) internal hatch mechanisms and tool stowage. 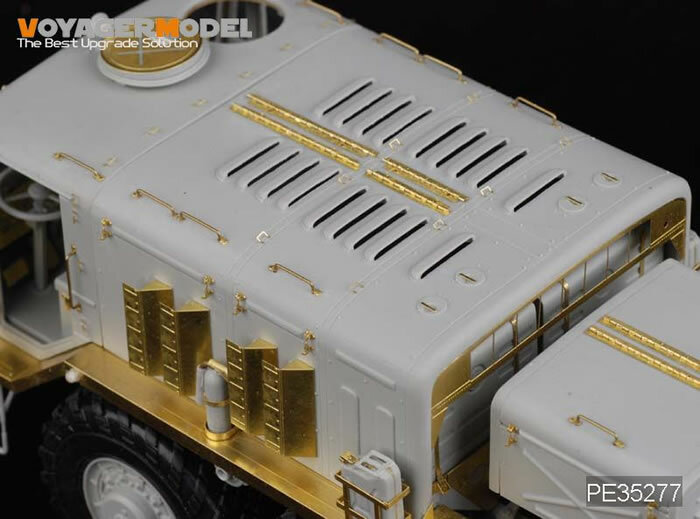 The mid engine vents are made up of no less than four etch pieces and this basically separates the two sets. The Mid version has 2 etch frets where the late model has 4 with the inclusion of a fine mesh grill that is peculiar to the late version. 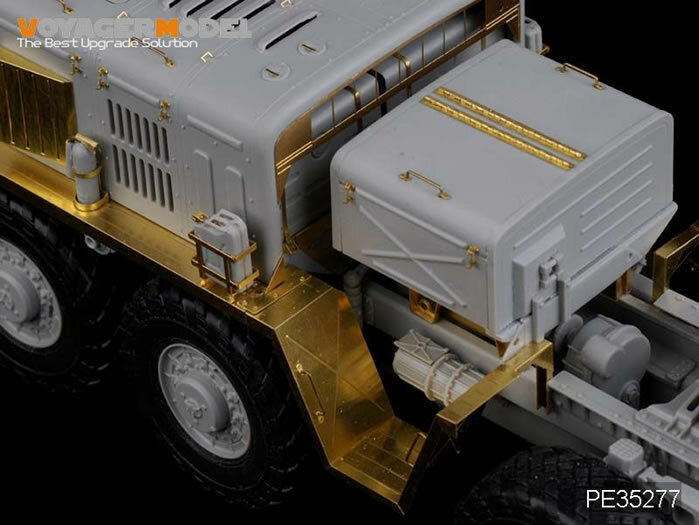 Most of the external stowage boxes on the vehicle are covered, with the ability to model these in the open position if desired. 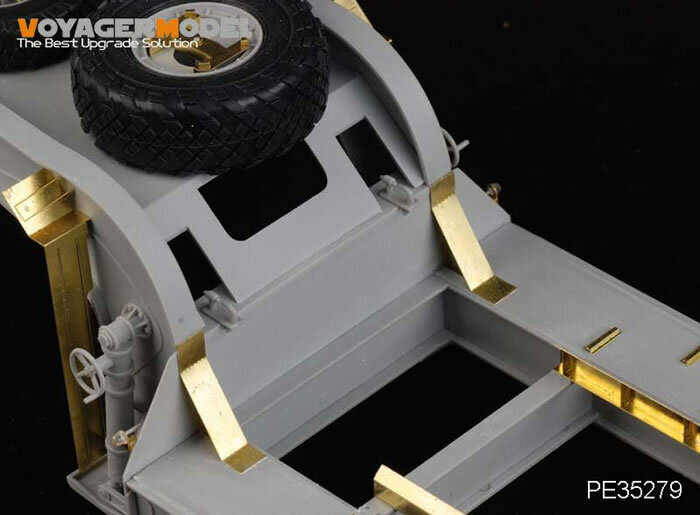 The front Bumper Bar is made mainly from Photo etch pieces with the inclusion of 12 finely turned brass parts for the bolt heads. The locating holes are present in this piece so, the application of these should prove easy. The inside of the cab receives a complete make over, with the inclusion of a new instrument cluster as well as door liners and gas pedals. 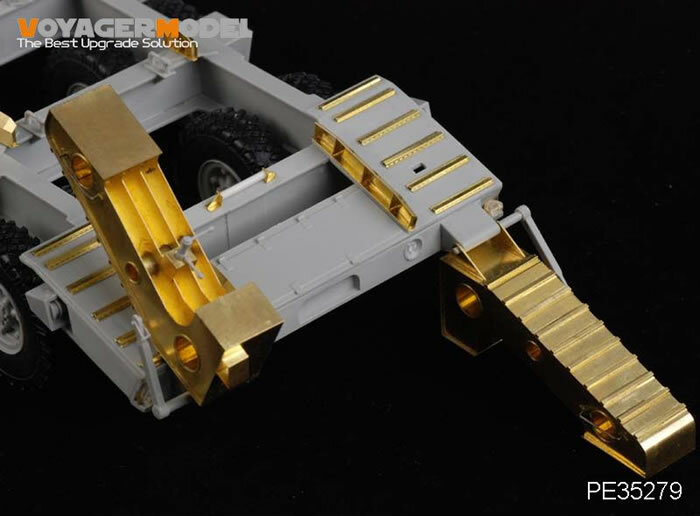 All the grab handles are shown and are made from the various gauges of wire supplied. 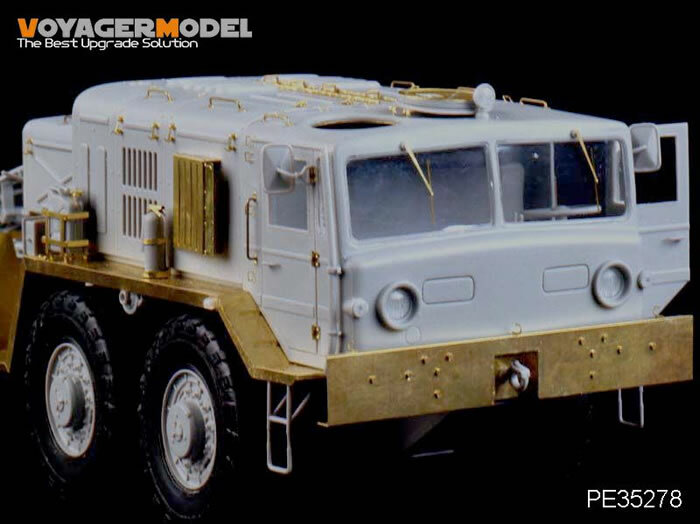 On the exterior of the cab, items like the windscreen wipers, roof escape hatch and handles are all covered. The entire mud guard assemblies are replaced together with their mounting hardware. 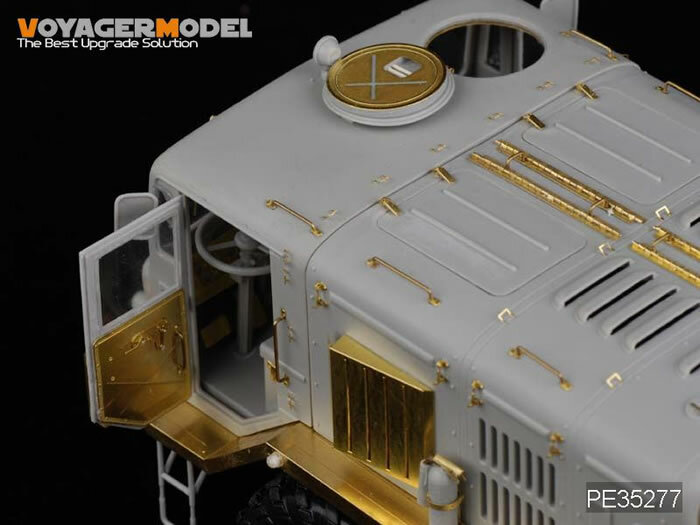 The last part of this update includes the hinge assemblies for the engine access panels. The brass itself is first class, with the bend marks clearly defined. 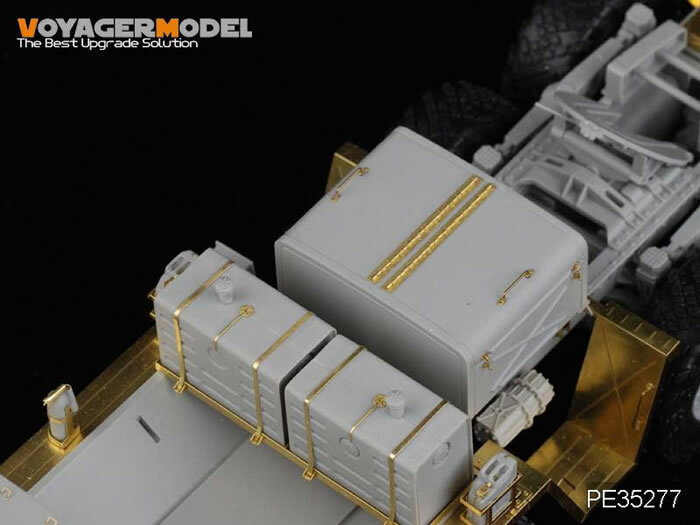 Overall, this is a great set and would add certain finesse to the Trumpeter kit as well as adding scale thickness to the various fittings inside and outside the vehicle. The complete nature of these products prompts me to give these sets a very high rating. This set complements the previous sets and covers 5 photo etch frets, 1 length of plastic rod and 2 lengths of wire. Three pages of instructions cover 31 construction sequences. The bend marks on all the etch pieces are clearly defined but, due to the length of some of the pieces, a bending tool may be necessary to make the bends as neat as possible. 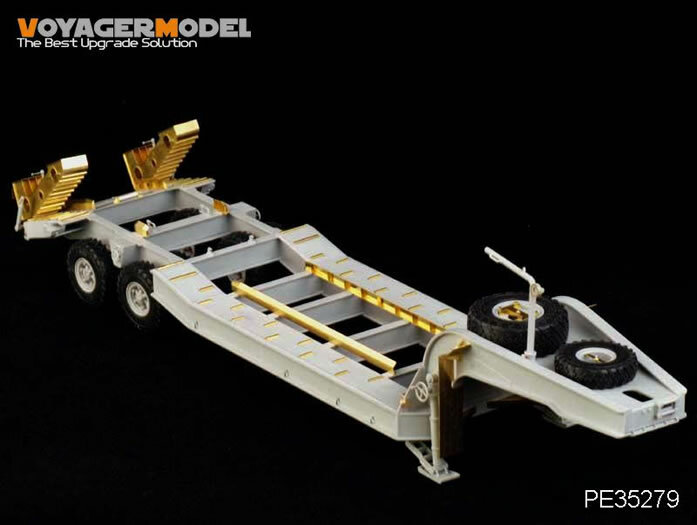 The set covers the loading ramp, guide boards, spare wheel and tool attachment points, hinges and most of the “over scale” plastic parts on the trailer itself. 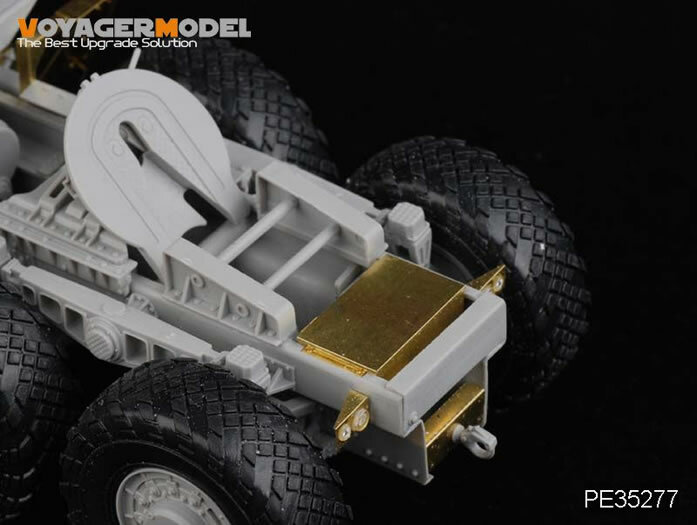 As with the previous set, this update would greatly enhance the Trumpeter kit, adding scale thickness and greatly improving the look of the vehicle.